Besides extraordinary technical properties, the Sensitive® Fabrics range is characterised by outstanding aesthetic quality. 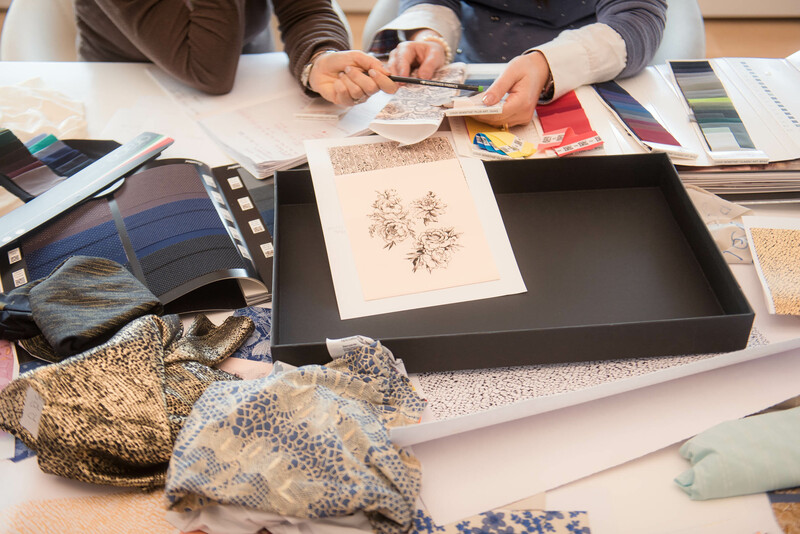 EUROJERSEY is the only textile Company in Europe that can offer its customers all-round collaboration throughout the development of their collections, starting with the initial design stage. The rotary screen print guarantees highly-precise details, in particular the Eco Print technology creates tone-on-tone or contrast effects with significant benefits also in terms of environmental impact. The digital print enables the creation of high-resolution designs with a 3D effect, in an infinite range of colours with savings in terms of dyes, water, methane, greenhouse gas emissions. Ecoprint is the printing technology developed by EUROJERSEY: it offers considerable benefits in terms of appearance and above all environmental impact. A pigment reproduces the design directly on the fabric, making for a reduction in consumption of water (-60% water) energy (-30%) and greenhouse gas emissions (-60% ) compared with traditional printing systems. The printing technologies are exclusively developed in EUROJERSEY. Special heat sealing tapes applied with a body-mapping effect on the ultraﬂat surfaces of Sensitive® Fabrics materials to create a perfectly linear, homogeneous avant-garde look, as well as an extremely comfortable, practical fit without stitched seams. Innovative manufacturing technology for finishing and reinforcement of an raw edge which is obtained bonding between them two Sensitive® Fabrics without sew. The bonding technology also allows to eliminate the elastic, halving the thickness of necklines and ensuring maximum grip and more support. Due to their compact and flat Sensitive® Fabrics structure, lint-free or nocurling edges, it is possible to merge two fabrics replacing the traditional seams with ultrasonic seams and heat sealing tapes. The exterior appearance of the garment is perfectly smooth and uniform. Application technology on Sensitive® Fabrics that allows to make garments embellished with inlays perfectly flat. The result is a perfect incision with a clean cut and with the edges that do not fray, thanks to the heat from the laser ray that automatically welds the fibers themselves, avoiding that the fabric will slip off. It is a technique of relief printing that creates images and patterns on the Sensitive® Fabrics' surface through the application of heat and pressure. Embossing is a process which changes the nature of the material on which it is done. During the process of embossing, the surface of the embossed material raises adding a new tridimensional effect to the fabric. Special finishing process that allows obtaining details with in relief velvet effect. The synthetic fibers are applied directly on the ultra-flat surface of Sensitive® Fabrics, previously treated with the application of a specific adhesive. Through an electrostatic field, the fibers of flock penetrate into the layer of the adhesive oriented at right angles to the surface to flocking, thus obtaining a threedimensional effect compared to the smooth surface of the fabric. 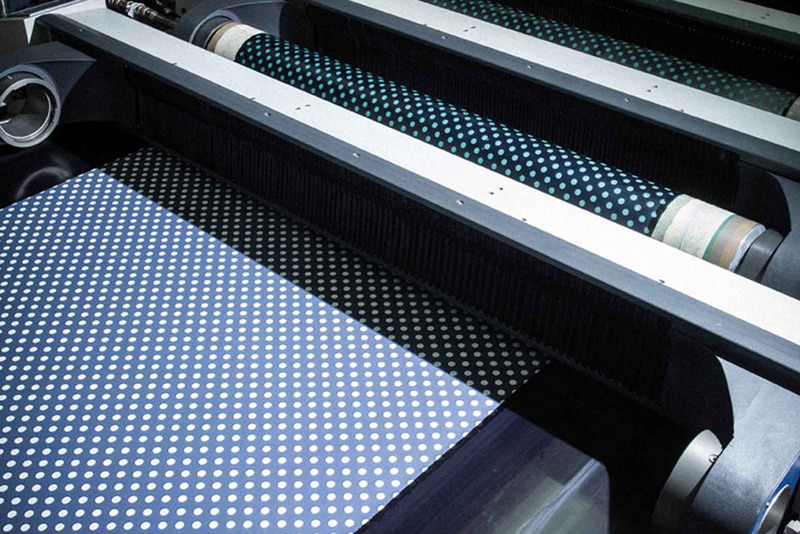 It is a technique of laser microperforation that removes portions more or less marked of fabric creating a incision. This processing is applied directly to the surface of Sensitive® Fabrics, allowing greater breathability and a sportier look to the garments. Manufactory technology that allows cutting and finish the edges without hems or topstitching. The particular structure of the Sensitive® Fabrics ensures the realization of seamless garments comfortable and which do not curl. The transfer printing is a direct printing system which transfers the pattern onto the fabric through the combined effect of pressure, heat and speed of detachment. It’s the perfect way to satisfy the requests in terms on personalization of garments made with Sensitive® Fabrics, thanks to their smooth surface. The latest manufacturing technologies combine tailoring effects with the outstanding performances of Sensitive® Fabrics. Sensitive® Fabrics combine the unique qualities of inventiveness and Italian style, selected by important international underwear, swimwear, sportswear and readytowear brands not just for its performance but also for the personality and style which distinguishes Italian-made products. 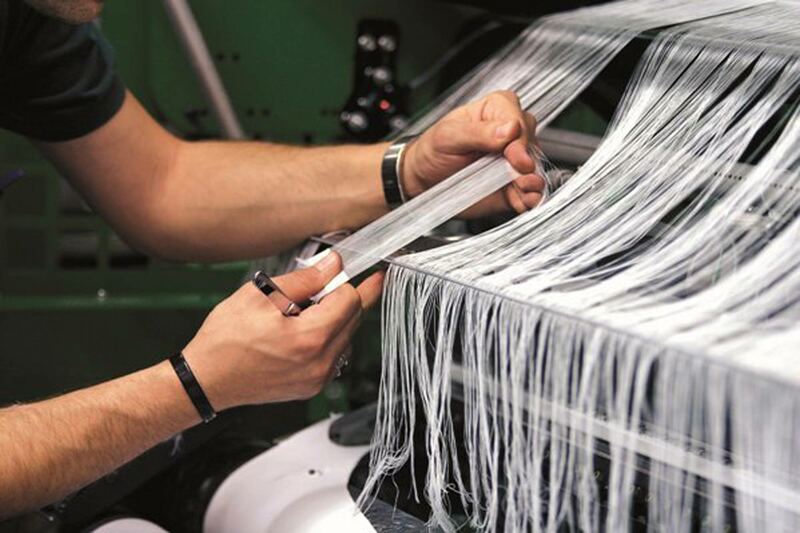 Sensitive® Fabrics brand identifies the inimitable quality of products that embody Italian creativity, both for technical know-how and for its appearance and authenticity. Our hangtag identifies the garments made in Sensitive® Fabrics for protection against imitation and counterfeiting. It has the validity of an authenticity certificate, in that it attests both the specific characteristics of the fabric and the ethical significance of an eco-compatible product.